CBSE conducted the Class 10 Foundation of Information Technology Exam today. The Central Board of Secondary Education (CBSE) conducted the Class 10th Foundation of IT paper from 10:30 AM to 01:00 PM. The paper carried a total of 40 marks. 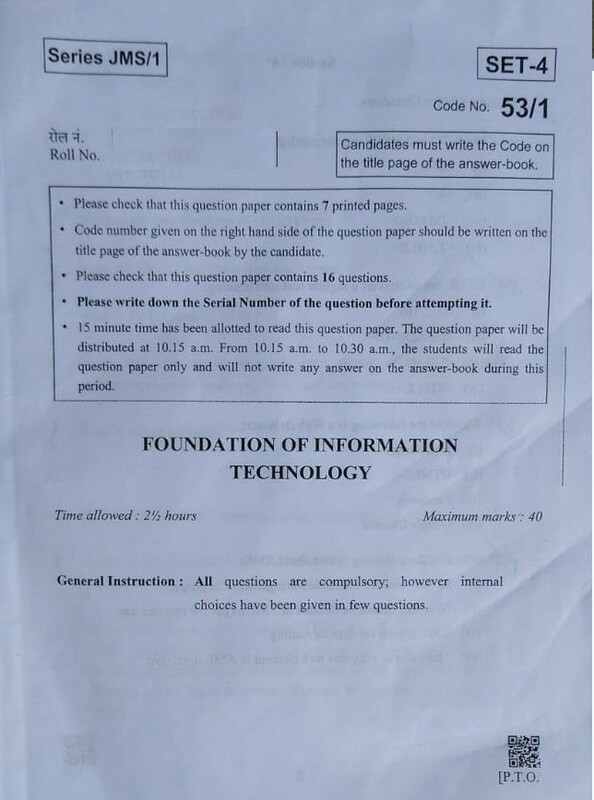 As per the class 10 students, CBSE Class 10 Foundation of Information Technology Paper 2019 was very easy. In this article, we are providing the complete question paper of CBSE Class 10 Foundation of Information Technology Exam 2019.